Keep your hands comfortable and protected while you're working on DIY Projects, in the Garden, Construction, Driving, or riding your Motorcycle. 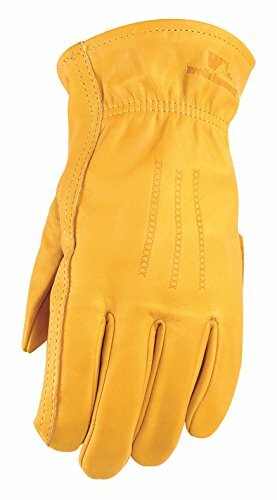 Made of high-quality, genuine grain cowhide, these gloves offer superior abrasion and puncture resistance for even your toughest jobs. If you have any questions about this product by Wells Lamont, contact us by completing and submitting the form below. If you are looking for a specif part number, please include it with your message.